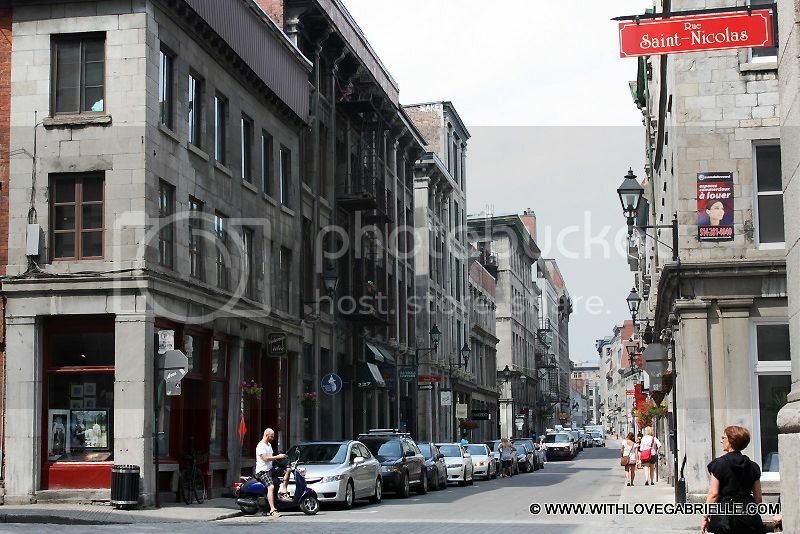 It is no doubt that the F1 is one of the most exclusive and indulgent event in the city of Montreal. For this one weekend, racing fans gather for the only Formula 1 North American race. The city is filled with tourists from around the world, and comes alive with their excitement. Besides the actual races, it seems like everyone in Montreal for the Grand Prix is also competing for how many activities they can fit into 72 hours! The races take place on Gilles Villeneuve Circuit, which is located on an island about 2 miles from downtown, so it is hard to travel to and from. But it is definitely worth the trek, since I've never been to such an electric event as an F1 race. 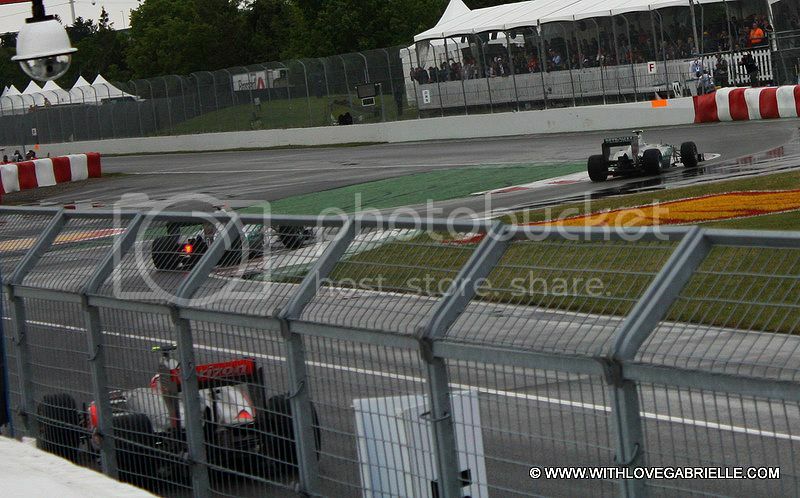 The final F1 race took place on Sunday at 1 PM, followed by a two hour delay due to the severe rain. With heavy rain pouring down, wet grand stands and cold temperatures, it was far from a typically beautiful day. Nevertheless, the race was thrilling and messy at the same time, with one of the safety crew members falling directly onto the race track! With a slight chance of not being hit. Luckily, he was missed by the two approaching F1 cars. I’ve tried my best to keep up with writing while waking up at 5 AM and going to sleep past midnight. Beauty sleep was nowhere on the agenda for the week! As many of you know and have surely experienced firsthand, exhaustion is not flattering. Despite the hectic schedule, there was time for wardrobe changes. From casual race track wear to cocktail attire, every day had a few specially created for it. Given that I could not take photographs in the evening due to the sheer inconvenience of lugging around a camera, I did manage to capture two of my casual race track looks. Saturday, I wore a simple A-line skirt with a heart-print pullover and a chiffon jacket. The outfit made for a great transition from a race track to a dinner shortly after the race’s finish. When it comes to planning outfits suitable for two events, keep in mind the comfort and propriety of each. This look was comfortable enough to be worn at the racetrack and interesting enough for dinner. The skirt was not too short, the pullover was comfortable and the jacket provided just the right amount of chic. 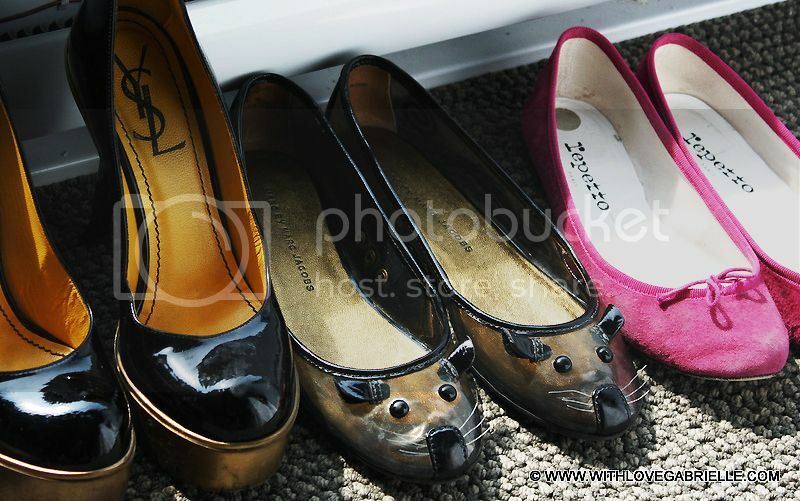 Mouse flats added a flair that was uniquely cute and fun. Sunday was all about comfort as I was at the track from 5 AM to 6 PM. There are strict safety regulations in the pit lane so pants were a must. I added a blouse for a comfortable, yet festive look, and the Marc by Marc Jacobs mouse flats were ideal for the rain as they are waterproof. Bringing versatile shoes that can be worn for different events or conditions is a great way to pack more lightly when traveling. 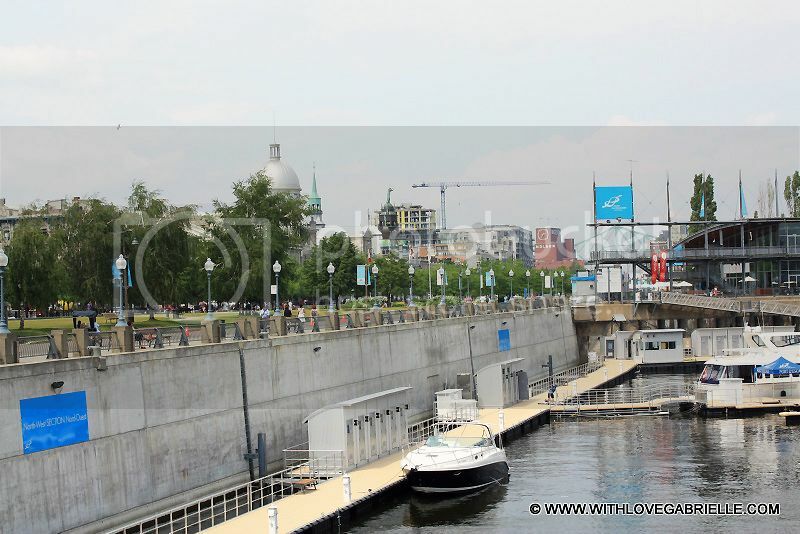 All in all, the weekend was lots of fun and the Montreal Grand Prix was extraordinary! 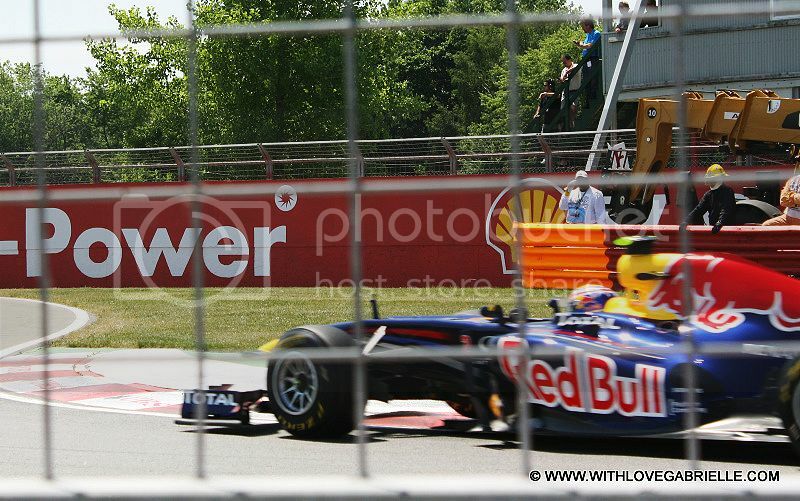 For updates from the Montreal F1 Grand Prix, check the facebook page!